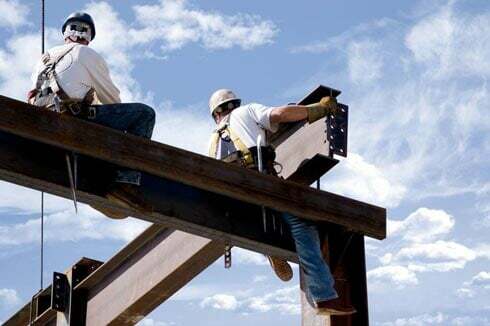 If you are injured at work, you have the right to compensation for lost income, medical bills and permanent injury. To get the compensation you need to move forward with your life, you need to hire experienced workers' compensation attorneys who can get results, such as the team at Wolter, Beeman, Lynch & Londrigan, LLP. Workers’ compensation, or “workers’ comp” as many people call it, is a form of insurance that provides wage replacement and medical benefits to employees who are injured or become ill “in the course and scope” of their job. You can learn more about workers’ compensation in our Workers’ Compensation Fundamentals guide. If you are injured at work you deserve compensation for lost income, medical bills and permanent injury . However, many employers dispute claims, and insurance companies often do as well. If you're in the midst of a battle for your rights, don't face it alone. Business owners and insurance companies are good at representing their own interests; you need experienced workers' compensation attorneys on your side. Possibly the most important decision you face in a workers' compensation case is whether to settle or fight. In some circumstances, a settlement is impossible under state law; in other cases, settling is simply not in your best interests. One of our workers' compensation attorneys will review the particulars of your case and tell you whether you should consider settling. In the aftermath of an injury or accident, evidence that bears on the case may disappear. Peoples' memories fade. A witness may leave the area. Faulty equipment may be repaired or replaced. However, an attorney will know how to proceed right after the injury and make sure your case is as strong as possible. This is why you need to speak with an attorney as soon as possible. How Do I Choose a Worker's Compensation Lawyer? When deciding which lawyer or law firm to retain for your workers’ compensation claim, you may find it useful and informative to review our five tips for choosing an attorney. Wolter, Beeman, Lynch & Londrigan, LLP is a small, dedicated group of workers' compensation attorneys, and we have served the Springfield, Illinois area for many years. We also serve the surrounding areas of Jacksonville, Lincoln, Decatur, and Litchfield. We have years of experience handling personal injury, workers' compensation and professional malpractice cases and look forward to helping you with your case. We are ready to help you fight for the money you deserve. If you live or work in the Springfield, lllinois area, contact us to see how we can help you win compensation. We never charge for a consultation. Call us today at 217-753-4220 to get started.